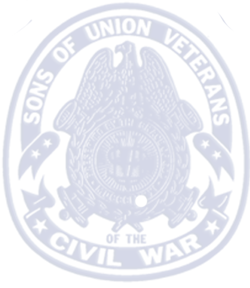 An article on the stolen Ellsworth eagle appeared in the Civil War News thanks to the efforts of Bro. Halpin and Commander Rave, Bro. Halpin has been trying to generate interest in the Ellsworth family business regarding posting a reward. At the suggestion of the *Camp Commander, the Camp Sec./Treas. volunteered to search the Internet for sites relating to stolen antiques. in case of future thefts. after being posted by Daniel Cole, Secretary/Treasurer, of the Col. George L.Willard Camp #154.
while removing a confederate flag from a hotel rooftop in Alexandria VA, the hotel and its flag were in eyesight of Lincoln’s White House. …In a matter of days The Atlantic Auction Gallery of Sagamore Mass. saw the posting, and realized they had the Eagle in their hands…the authorities were contacted, and one week later the news was out, and the Eagle was returned to Mechanicville. and to Brother Stephen Davis who was able to supply the Camp and the police with the photograph that caught the antique dealers attention…Thanks to all involved! Bro. Halpin gave a committee report on the recent location and return of the Ellsworth Eagle. A motion was made and passed to send each of the two dealers involved, a framed certificate and letter of thanks, for their help. Bro. Halpin expressed hope of setting up a photo opportunity with the Eagle sometime in February. 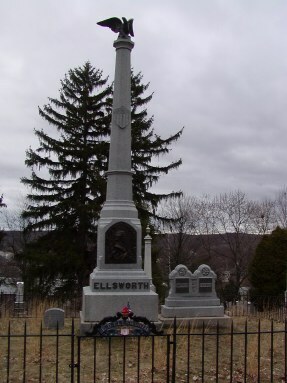 Ellsworth became an instant hero and martyr to the Union cause. On December 13th, 1997 a notice with photo, was posted on the Internet by The Col. George L.Willard Camp #154 of The Sons Of Union Veterans Of The Civil War, hoping someone would recognize the eagle… in a matter of days an antique dealer in Massachusetts spotted the posting, and knew he had the eagle… the authorities were contacted, and one week later the eagle was home. and to Commander William Rave who directed the effort.